Cheerleading is the fastest growing sport in the USA and is one of the most exciting sports building in New Zealand today. 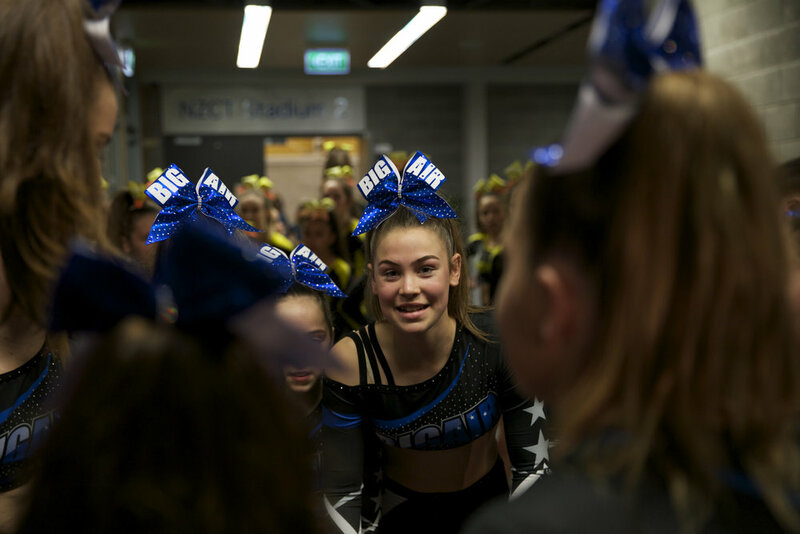 Bigair Cheersports was Wellington’s first dedicated Cheerleading facility with qualified coaches and an international standard equipped gymnasium with fully sprung 9 strip floors, tumble tracks and air floors. Bigair has been running a fun cheerleading programme since 2006 and established Bigair Cheersports as a premier recreational and competitive programme early 2009. Bigair Cheersports cheerleading programmes are all about energy, teamwork, performance, new friends and having lots of fun. Our cheerleading programme has grown significantly over the last 2 years and this has brought many successes nationally and internationally. Our coaches so so dedicated to the sport and ensuring that the children have the best chance possible of achieving theirs and the teams goals. If you want to be involved in the newest and most exciting programmes in New Zealand contact us NOW!